Rheum emodi Wall is a well-known medicinal plant found on high altitudes. The plant is under tremendous anthropogenic pressure due to its over exploitation. 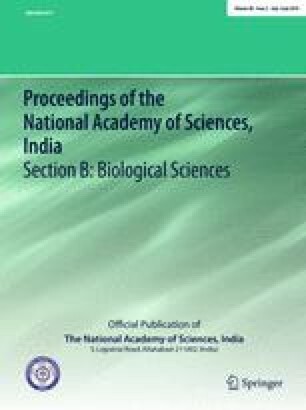 In this context, biotechnological intervention particularly tissue culture is the need of hours for its conservation. In the present study, a successful and reproducible protocol was standardized for the micropropagation of various R. emodi using various explants and treatments. The explants used were seeds, leaves, shoots and rhizomes which were cultured on Murashige and Skoog (MS) medium, supplemented with different concentrations and combinations of phytohormones i.e. 6-benzylaminopurine (BAP), kinetin, indole-3-acetic acid, napthalene acetic acid, indole-3-butyric acid (IBA), 2,4-dichlorophenoxyacetic acid, Zeatin and Thidiazuron. The most effective concentration and combination for the plantlet formation was MS + (15 µM) BAP + (15 µM) IBA. This study was supported by Department of Science and Technology, Ministry of Science and Technology (sr/wos-A/Ls-236) and DBT GoI, New Delhi funded women entrepreneurship project, the assistance of which is highly acknowledged. The authors hereby declare that they have no conflict of interest. All authors equally participated in designing experiments analysis and interpretation of data. All authors read and approved the final manuscript.